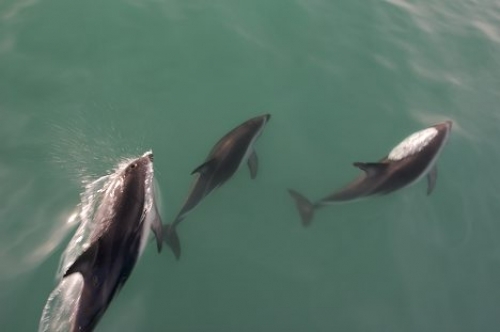 Order your quality tile of "Dusky Dolphins Encounter Kaikoura South Island New Zealand" now! Have this image as a tile! (4x4 inch + frame) Handcrafted on Vancouver Island, these delightful cedar framed ceramic tiles will add a touch of class to your table, kitchen, or to any room. (6x8 inch + frame) Handcrafted on Vancouver Island, these delightful cedar framed ceramic tiles will add a touch of class to your table, kitchen, or to any room. Photo of Dusky Dolphins bow riding while on a dolphin watching tour with Encounter Kaikoura on the South Island of New Zealand. "Dusky Dolphins Encounter Kaikoura South Island New Zealand" tile!